Mina is tired of her husband's infidelity and decides to take a drastic decision: She takes a second husband. Mina is tired of her husband's infidelity and decides to take a drastic decision: She takes a second husband. 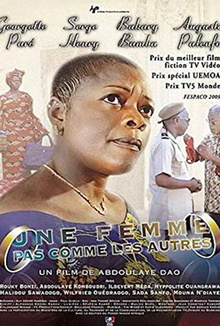 Based on his conversations with women involved in polygamist relationships, director Dao Abdoulaye illustrates - to very funny effects - the daily life of two persons - in this case two men - who share a spouse. On a comedic tone, Abdoulaye Dao tells us a story of jealousy, infidelity, romance and revenge. An Uncommon Woman-Une Femme Pas Comme Les Autres- was a success in its native Burkina Faso and is cast with some the best actors of Burkinabe cinema.